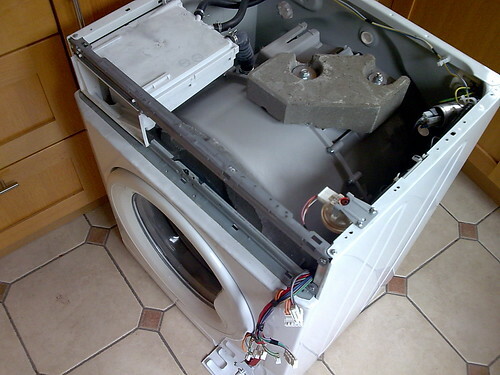 Our washing machine, a “Beko WMA 641 W”, broke down; no bangs, no smells, no intermittent behaviour, just dead. Having checked the fuse, the socket, the fuse again, it was confirmed broken. The machine came apart easily, and seemed very well designed. 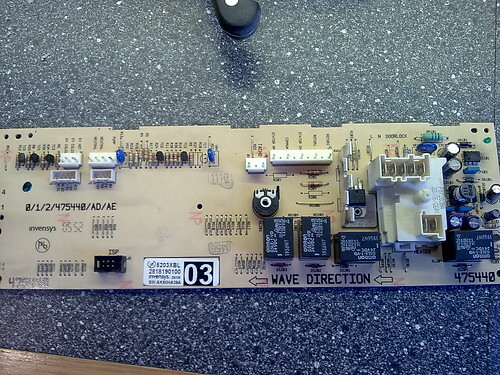 It was very quick to confirm power was getting to the control board and that full disassembly was needed. Top tip: I have always clustered groups of related screws when taking things apart to help when re-assembling, but I realised for the first time that putting these groups in line is really useful. Probably obvious, but I had never done it before. So re-assembly is just working backwards along the line. The power of chronology should never be underestimated! Our brains seem very good at searching things by time. We may spend ages organising photos in to folders, but given instead a huge list of photos ordered simply by date, we’d probably find what we were after more quickly. The thing that stumped me for a while was that what I thought was the logic DC power supply output seemed to be connected through to ground. Short circuit? It turns out after a little more head scratching that the power supply was designed to produce -5v; suddenly with that insight the whole world flips on its head and things start looking a little more sane. 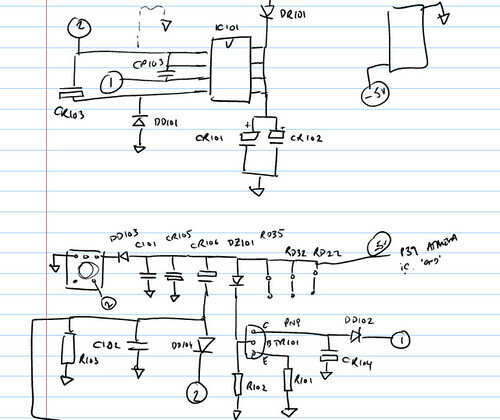 Having uncovered what looked like a switch-mode power supply design, I attached the power again and investigated that. 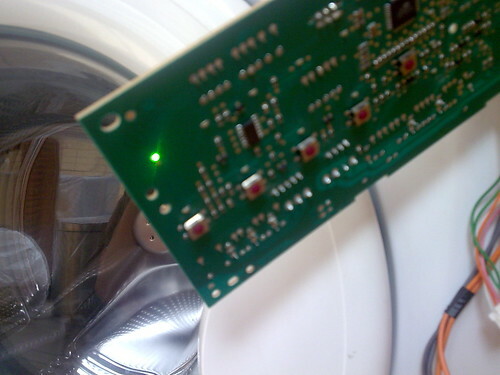 I wouldn’t recommend probing a live board hanging out of the front of an appliance, but it helped me confirm the problem; the rail wasn’t achieving the voltage it needed to power the logic. By replacing the BC556 used in the power supply, I was welcomed with the sight above. That’s the “Ready” led that is! So after all that, a 7p transistor is what brings the Beko back! Lucky i’m not charging for my time, but also cost is not really the issue. If nothing else, it saved me the mind-numbing process of choosing a new machine, and another big white box from landfill! I can’t believe you didn’t take the opportunity to network enable your washing machine! This is simply brilliant! I tried to repair my old mac laptop, but faced similar problems. Sadly I really needed some replacement parts. However, they didn’t come in cheap… Had to get a new machine! Happy to read you story, glad that you manage to make it work again, despite the Invensys silence… Wish people it were easy and less costly to repair more things these days!! !